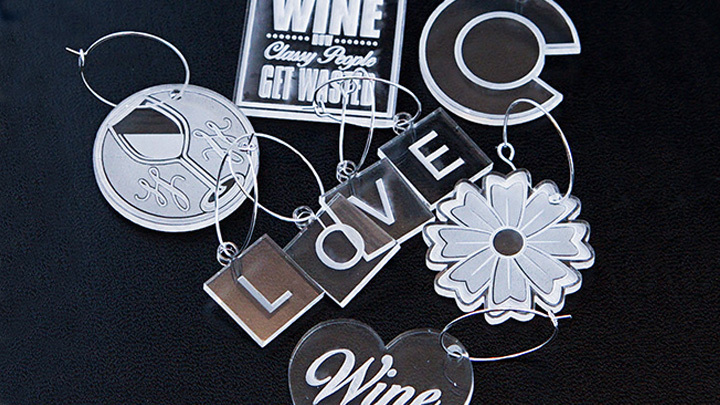 Check out these fun and festive wine charms! Made of either wood or acrylic, these little charms are quick and easy to make, and a great way to get the most out of your scrap materials. 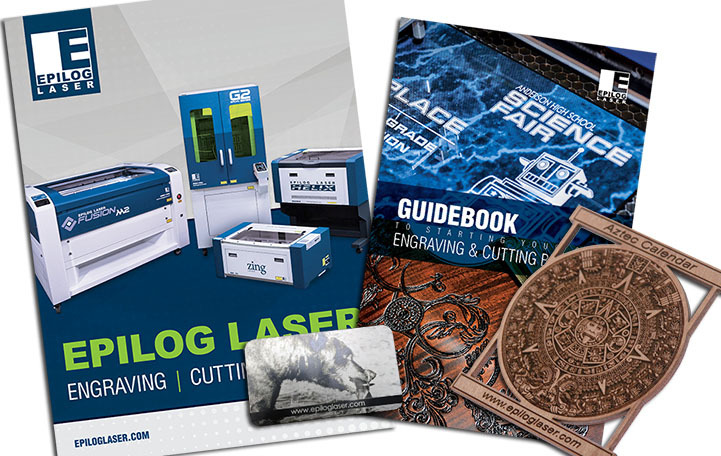 Whether you're giving them as a gift or adding to your sample showcase, these charms will be a hit! Follow these simple steps to create unique wine charms of your own! 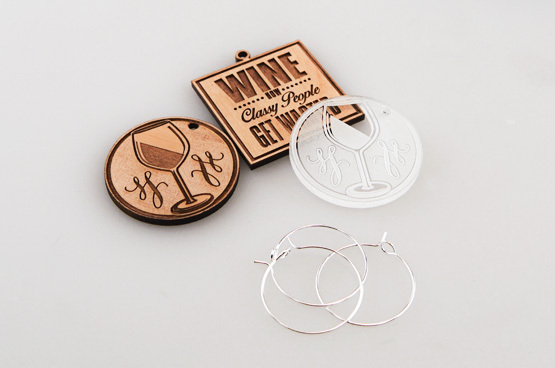 Laser cut and engraved wine charms. 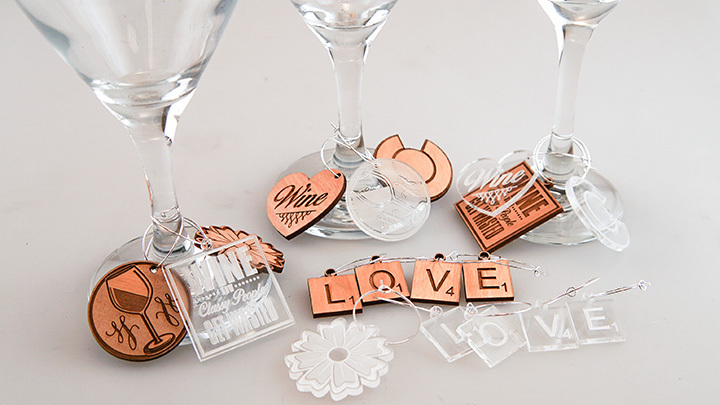 Acrylic wine charms created with a laser. 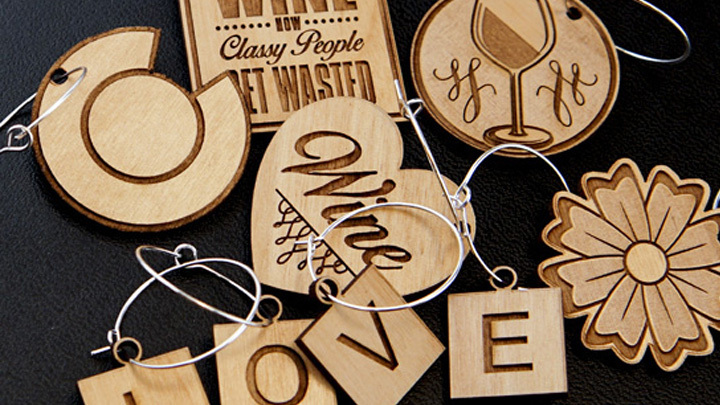 Wood wine charms created with a laser. 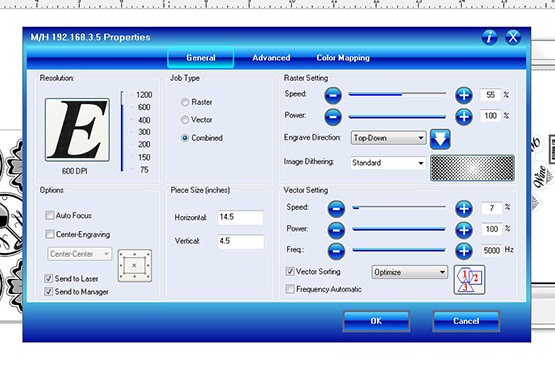 Open the file and arrange the graphics to the size of your material. 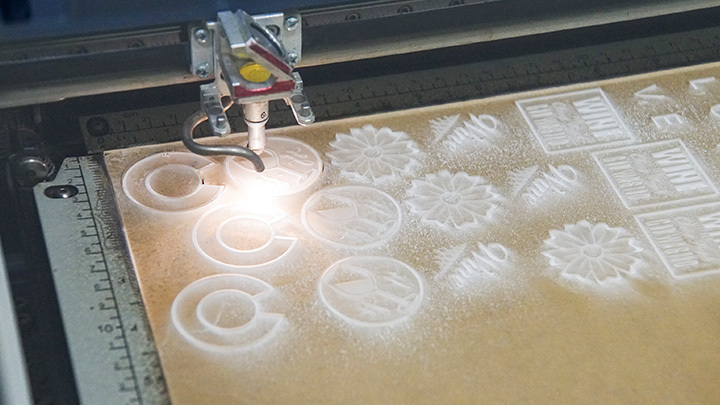 Adjust the print settings according to the material and send artwork to the laser. 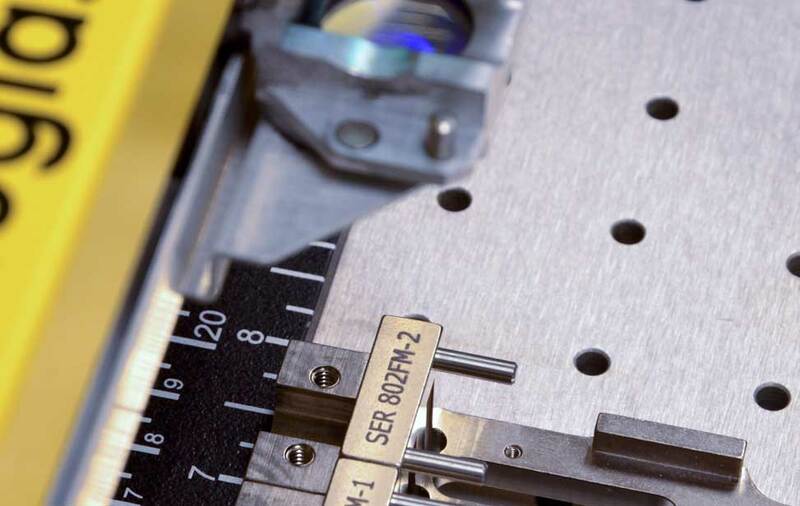 Place the the material in the laser, focus, and press GO. 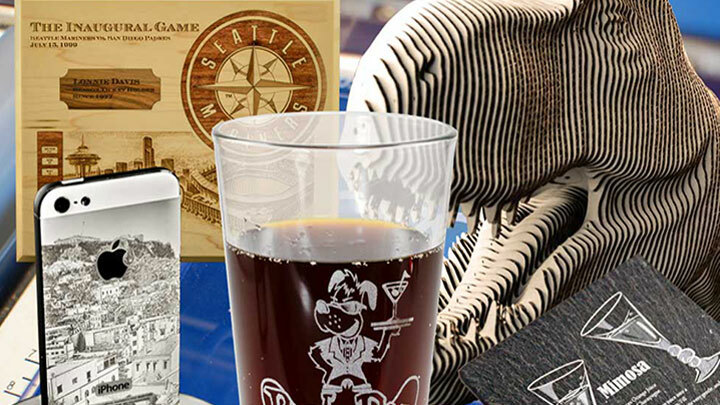 Insert the ring through the eyelet and place around the wine glass stem.